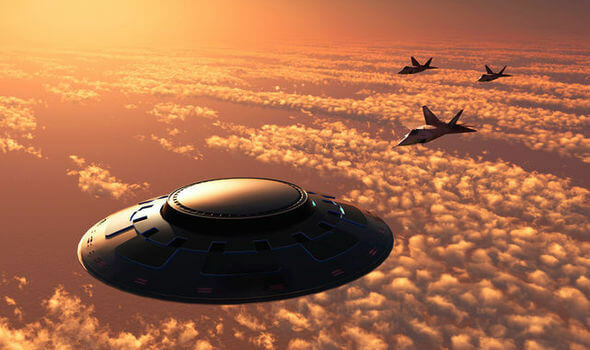 THE number of reported UFO sightings across the United States has more than tripled since 2001, it has emerged. The statistics are compiled in a new book written using the databases of two of the world’s biggest organisations dedicated to logging UFO and alien reportings and encounters across the globe. “UFO Sightings Desk Reference,” written by Cheryl Costa, 65, and wife, Linda Miller Costa, 62, from Syracuse, New York, used 121,036 eyewitness accounts across the states recorded separately by the Mutual UFO Network (MUFON) and the National UFO Reporting Center (NUFORC) between 2001 and 2015 to chart the increase. The book looks at the timing and location of incidents and types of UFOs seen which include flying circles, spheres, triangles, discs, ovals, and cigars. According to Cheryl, a former military technician and aerospace analyst, and Linda, a librarian at Le Moyne College and a former librarian at the National Academy of Sciences, NASA and the Environmental Protection Agency, MUFON and NUFORC decided most sightings were explainable, but a small amount can still not be explained. The key findings from the book were that overall numbers of UFO sightings more than tripled by 2015, from their average levels in 2001. The book shows that US sightings grew from 3,479 reports in 2001 to 11,868 in 2015. MUFON and NUFORC say just a fraction of all sightings make their way to them – so there are significantly more. There is a growing “disclosure” movement in the US that believes that intelligent aliens visit Earth, and the government is not only aware of this, but covers it up. Disclosure activists, such as Steve Bassett, who runs the Paradigm Research Group (PRG) campaign for an end to this so-called truth embargo. Mr Bassett believes the fact there are so many more sightings now means the truth will soon come out as the White House will no longer be able to keep a lid on it. “It’s something the government should have been doing. Their research found July is the busiest month for UFO sightings, but possibly because more people are outside. There was a strange spike in sightings in Texas in 2008, and another in New Mexico in September 2015. So what are their conclusions? The pair say they have seen UFOs themselves, but draw no firm conclusions from studying the data. Sceptics argue that the rise in phone and digital cameras, is responsible for more alleged UFO pictures and videos emerging, and that sharing on social media, makes the subject more well known. The rise in the use of drones of an array of shapes and sizes, is another explanation offered for the perceived rise in UFO activity.